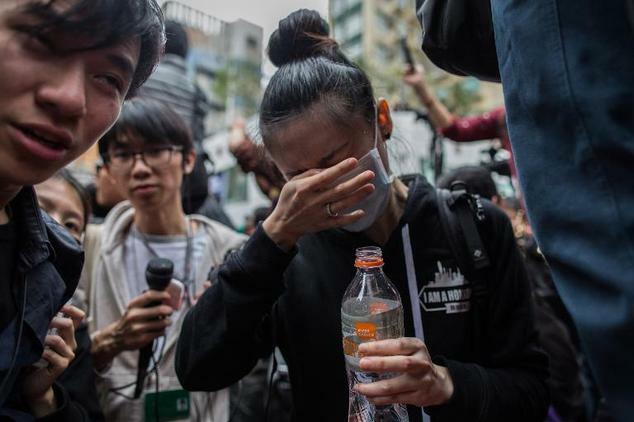 (TibetanReview.net, Mar02, 2015) – Police in China’s special administrative region of Hong Kong have arrested 36 people on Mar 1 after they took part in an angry protest attributable to the nation’s ‘one country, two systems’ policy. The arrests followed clashes between police and hundreds of demonstrators in Yuen Long, near the border with China, and police used pepper sprays, reported bbc.com and others Mar 1 and 2. The locals are said to accuse visitors from mainland China of exploiting visa rules, coming in as so-called parallel traders to buy goods in Hong Kong to sell at a profit across the border. They say that networks of mainlanders come to Hong Kong to buy high-quality products at lower cost – because Hong Kong does not charge a goods and services tax – and that this drives up retail prices and forces out normal shopkeepers, the report said. The protesters, numbering about 400, chanted to “cancel the multiple-entry permit” and “topple the Chinese Communist Party”, the report said. It added that a female protester was bleeding from the nose as police dragged her away. The Scuffles had broken out later in the day after some village residents who opposed the demonstration hurled insults at the protesters. Besides, traders, being happy doing business with mainland buyers, were reported to oppose the demonstrators. Police had stepped in with batons and pepper spray to control the crowds. Thirty-six people, aged 13 to 74, were arrested for offences including possessing offensive weapons, assault, disorder and fighting, the reports added. Two other similar protests in Hong Kong’s suburban areas this year had turned chaotic, including one in February inside a shopping mall. The demonstration mirrored others in recent weeks targeting mainland Chinese visitors that have tapped a seam of resentment against China, resulting in calls for greater Hong Kong nationalism and even independence from China, nearly three months after police cleared away the last of pro-democracy street protests in the city, noted the theguardian.com report.